We will be closed May 28th in remembrance of our Fallen, Tullahoma will be closed the May 26 & 28. Have a happy and safe Memorial Day! June Mug Rug of the Month Come on in and get your kit! Meet Jimnome, (Jim-no-me). Get your Patriot on and come stitch out the Flag Quilt just in time for the 4th. 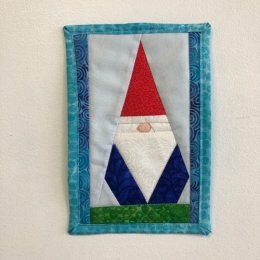 Rocket City Modern Quilt Guild meeting June 19 at 6:00 PM. Come check them out.